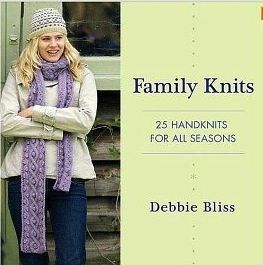 Family Knits is a heartwarming collection of hand-knit designs that celebrate making time for family and friends. From a womenâ€™s delicate summer cardigan and a chunky weekend sweater, to a pint-sized hooded Guernsey for boys, to a rugged manâ€™s pullover, Debbie's latest book features styles for adults and children for every season. Whether having a picnic on a sunny summer afternoon, exploring a windswept beach in autumn or wrapping up for a brisk winter walk, here is a capsule wardrobe for the perfect weekend. The year-round feel is reflected in the sections in which the book is divided: beach, picnic, and country. In addition, projects are included for knitters of every skill level, from the basic to the more advanced. Beautiful lifestyle photography and concise easy-to-follow instructions accompany each of the twenty projects. No matter if you're young or old, the carefree and relaxed knits in Debbie's signature style and yarns are guaranteed to please.